The Pilbara region of western Australia is home to some of the Earth’s oldest rock formations, and among these formations are remnants of an ancient reef. 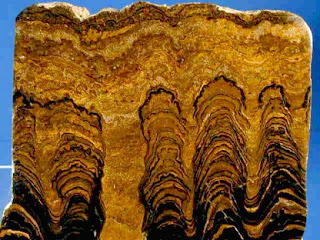 This is no ordinary reef made of coral; it’s made of stromatolites—structures left behind by microorganisms that lived 3.5 billion years ago. 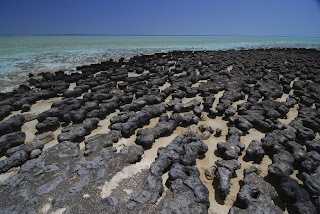 Stromatolites are formed by algae that live on the floors of shallow seas. They collect fine layers of sediment that are built up into cones, domes and other shapes over many millions of years. 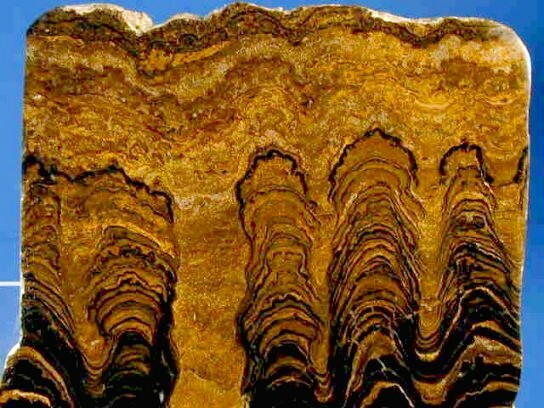 A stromatolite is not alive, but is a structure made by living things. When we find one in the fossil record, it's like finding an ancient footprint. 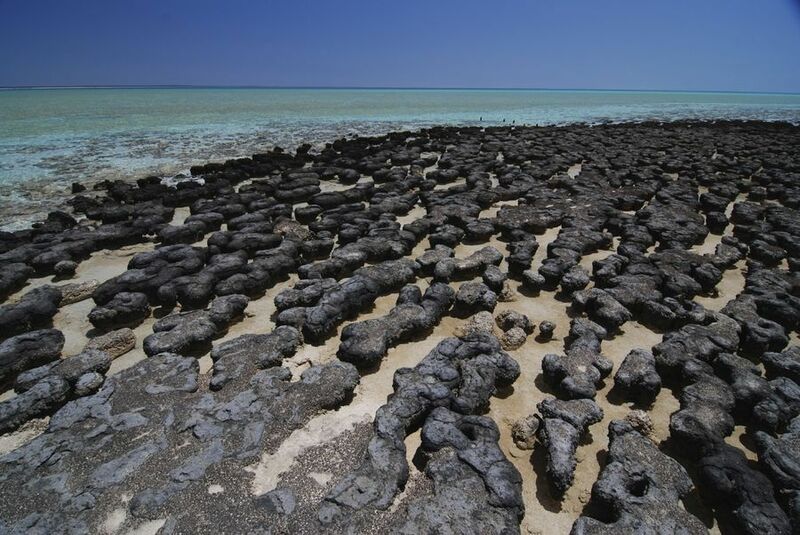 The microbes that make these structures are almost never preserved as fossils inside the stromatolites. And without that it's difficult to be sure an ancient stromatolite is proof of life. But the Pilbara stromatolites are not only biologically produced, but possibly the oldest evidence of life on our planet. These amazing structures have a pronounced conical shape unlike any kind of ripple pattern you would expect to see on a lifeless sea floor. Instead, stromatolites are sedimentary structures formed usually by cyanobacteria (also known as blue-green algae) that live in the interface between sediment and ocean. By examining these structures, we can tell that some lived almost 3.5 billion years ago, forming near rocky coastlines with shallow water environments. They have not been found in deep water areas that were also in existence at that time. to the oldest known life form on Earth. These fossilized ecosystems provide a glimpse of the Earth’s early history and possibly the beginning of life on our planet, as they are thought to be largely responsible for oxygenating Earth’s early atmosphere. Could life have existed even earlier? It’s possible. We don’t have any geologic record of the first 500 million years of Earth’s existence, so there is a pretty big gap in our knowledge. What's not preserved in the fossil record is how life formed in the first place. One thing we do know: that stromatolites are very distinctive and these structures are nearly identical with those of living stromatolites found at Shark's Bay, in western Australia. That means these living fossils have a family tree that stretches back farther than any other living thing on the planet. Remarkable, when you think about it.